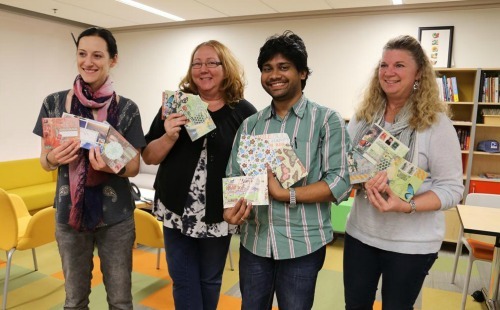 Wine & Design brings happy hour and postal-theme crafting together once a month at the National Postal Museum. Whether you are a letter-writing lover, an Etsy fanatic or just looking for something new to do — join us! Kick back after a hard day of work with wine or beer and leave with a unique, mail-related product. Tickets are $11.50 and can be purchased at the door.